الأخبار العالمية عن التصوف واهل التصوف والصوفية Primarily an archive of news reports from around the world concerning Sufis and Sufism. Looking up at the awe inspiring Mawlawiya complex with its distinguished Ottoman architecture, and one cannot help wondering if restoring such a magnificent monument will bring back the Whirling Dervishes and their spellbinding performances in mediaeval Cairo? Perhaps it is not out of the question. The Mawlawi complex with its museum, the monumental presence of the Sunqur Al-Saadi Madrasa (religious school), the Hassan Sadaqa Mausoleum and the Yeshbak Palace, is of great historical significance, not only because it witnessed the end of the Mawlawi Sect but also for its unique presence in Egypt as the only "Samaakhana", where the Mawlawi Dervishes performed their spectacular, trance-like rituals. The museum is in a very popular area near the Citadel, between two narrow thoroughfares of Manah Al-Waqf Street and Al-Siyufiyah Street. This is where a sect of the Mawlawi order lived in Cairo from 1607 until 1945, and was one of the last built during the period of the Mawlawi confraternity. Its interior space and design are intimately linked with the cosmological symbolism represented by the samaa (listening) dance. As in other rare examples from this later period, the area assigned to the samaa function is circular. The circle according to the cosmological doctrines of the Islamic philosophers is the expressive synthesis of the cosmos. Over time the samaa dance has also been defined as a mystic-symbolical interpretation of the movements of the cosmos, according to the speculative elaboration of Mustafa Yaaqub Dede and Mehmed Celebi Al-Ismail Rusuhi. Who were these dervishes? When and why did they come to Egypt, and how did they come to practise their ritual performances in Al-Samaakhana? The Mawlawi confraternity was founded in the 13th century in Konya, Turkey, based on the philosophy and teaching of the Persian Sufi poet Jalal Al-Din Al-Rumi, whose popular title Mawlana, or "our master", gave the order its name. The Mawlawi gained a special vitality along with the Ottoman expansion, spreading all over the Islamic world, with many centres connected with the mother establishment in Konya. In 1925 the Mawlawi order moved to Aleppo in Syria, then to Damascus, and in 1929 the order came to Cairo and settled in the area at the foot of the Citadel. The word samaa denotes the Sufi practice of listening to music and chanting to draw closer to God. The Mawlawi dervishes combined samaa with dancing. The Samaakhana, which forms part of the Mawlawi complex, has been restored and reopened through the combined efforts of professor of architecture Giuseppe Fanfoni and the Italian-Egyptian Centre for Professional Training in the Field of Restoration and Archaeology*. The Prince Sunqur Al-Saadi Madrasa is another part of the complex. Al-Saadi lived during the reign of Sultan Al-Nasir Mohamed Ibn Qala'un, a period of particular wealth for Egypt, and is known to have built several monumental buildings. However he considered the construction of this madrasa outside Cairo's city walls as the most important architectural work of his life. The magnificence of his palace presents architectural aspects similar to those of the Bashtak Palace in mediaeval Cairo, and is considered to be one of the most impressive Mamluk buildings in Cairo, even if it is reduced to ruins today. Despite its huge walls, the palace is somewhat hidden by the buildings that surround it. Its great façade is revealed as one enters through the courtyard of the complex. It is understood that this palace was built in several stages. In 1476, Yashbak enlarged the palace, adding a large and majestic monumental entrance with mukkarnas, beautiful sculpted decorations. After his death the property was passed to Aqbardi. The Mawlawi architectural complex developed in the area between the remains of the Sunqur Al-Saadi Madrasa and the Yashbak Palace, with the builders using suitable pre-existing monuments and adapting them to a new function. The Mawlawis, inspired by the plan and architecture of the mother house in Konya, built a new wing on Al-Siyufiyah Street giving a direct entrance from the street to the complex. The area of the samaa is circular and has a horizontal axis on which are aligned the mihrab, where the sheikh stood during the ceremony, the point of entry of the dervishes, and the mausoleum where the previous sheikh was buried. As they entered, the dervishes who had completed their religious apprenticeship occupied the right side, symbolising the inner world, while those who had not yet completed their apprenticeship occupied the left side, symbolising the outer world. After a musical introduction, the dervishes moved in an anticlockwise direction around the perimeter of the samaa area, and when passing before the sheikh they made a sign of reverence. Then, as if by some inspired impulse, they began to turn in two orbits with the palm of one hand turned upwards and the other turned downwards, indicating the axis which links the absolute unity to the reality of the analytical existence. Later they might sit, pray, and begin all over again. The ceremony always ended with a prayer and a procession. The Dervish dance also happens to be the origin of another folkloric dance which is very common in Egypt, the tanoura dance. Although very similar to the Mawlawi dance, the tanoura does not share the same beliefs and religious rituals, as it is only considered an entertainment. Twisting and turning, the multi-coloured dress of the dervish creates the illusion of a human kaleidoscope. These dancers wear a more colourful outfit and are mostly seen during a mulid, a festival held in Islamic Cairo and in cultural events worldwide. The layout of the Samaakhana was geometrically developed in such a way that when one traces concentrically a circle whose diameter is equal to the radius of the Samaakhana, one visualises one of the two orbits made by the dervishes during the ritual performance. The museum inside the complex exhibits photographs of the Mawlawis, as well as some documents. Some showcases set up in this area exhibit archaeological findings of the remains of the madrasa. There are also two other showcases in the great iwan (vaulted room opening onto a covered court), one of which exhibits Rumi's book, the Mensnevi, donated to the Italian Centre by the Turkish Ministry of Culture during the ceremony held in the Samaakhana on 18 January 1998 to celebrate the completion of its restoration. The other shows a Mawlawi dress donated by the Istanbul Samaa Group during a samaa that took place on 30 June 1998. 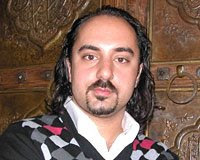 Ali Taha, director of the fine arts restoration department in the Centre of Professional Training for Restoration (CPTR), told Al-Ahram Weekly that the Samaakhana was the last centre to remain active after the edict that closed the tikkiya (the dance hall) and the dissolution of the Dervishes' Turkish confraternities by Ataturk in 1925. In 1945, the Mawlawi group in Cairo was dissolved and the whole complex was abandoned. The building was occupied by an NGO and used as a hospice and outpatients department, which led to its decay with various parts literally falling to pieces. During the late 1970s Carla Bouri, the then head of the Italian Cultural Centre, expressed an interest in restoring the impressive complex and gave some attention to the site. In 1979, Fanfoni organised a Cantiere-Scuola (a training school) for the recovery of the Mawlawi architectural complex, which is still functioning. The CPTR was then founded to carry out training activities for technicians and craftsmen who in 1984 began the restoration of the Samaakhana in collaboration with the La Sapienza University in Rome and various Egyptian universities. "The state of conservation of the complex was very poor," Taha said. He explained that it was suffering seriously from environmental danger including air pollution, a high subsoil water level, a high level of humidity, leakage from communal pipes in the street, rising damp in the walls of the mausoleum -- up to a level of eight metres -- while the interior stucco has a surface deformation of salt up to four centimetres thick. The interior wooden covering, including the mihrab, was in an advanced state of rot. Horizontal and vertical cracks have decorated most of the complex's walls, the support brackets of the border beams have been completely flattened, the floor of the gallery was bending and the drum of the dome had elliptical deformation while some of its decorative items were missing. To rescue the complex, Fanfoni invented a solution through the reintegration of the walls, made whole with slabs of reinforced concrete incorporated into the thickness of the wall and placed in the gaps left by the rotten wood. Buttresses which had lost their foundation rested on it. After eliminating the salt encrustation, the walls were consolidated by injection of lime and filler with a composition similar to that of the original mortar. Against the rising damp a particular epoxy-resin was injected in holes passing through the whole thickness of walls just under the level of the Samaakhana's ground floor. Leaked water was pumped out and all the wooden beams were cleaned and restored. To return the dome to its original round shape, Fanfoni made three rings on the outside, each consisting of six steel parts connected together with suitable braces and resting on the wooden ribs by means of special sliding devices. After impregnating the wood of the dome in order to recover some of its elasticity, work was carried out on the six braces of each ring, gradually tightening the reins of the dome by 20cm. This had the effect of raising the apex of the dome by 12cm. The internal layers of the dome were firmly attached to the ribs by binding the wooden laths with bundles of wire mesh fixed in place with mortar similar to that of the original. The external texture of wooden laths was restored. The paintings were cleaned and restored to their original condition. Zahi Hawass, secretary-general of the Supreme Council of Antiquities, said all the restoration had been carried out according to the latest and most scientific methods. "Every effort was made to ensure that all original architectural features were retained," he said. The beautiful restoration of the Samaakhana has kept its spirit intact. It is still peaceful and serene, even though a building that loses its residents loses part of its spiritual core. Without a doubt, the prose and philosophy of Mevlana Muhammed Jelaluddin Rumi has been influential in the lives of many. Given that he was a 13th century spiritual figure whose legacy is still being continued by his family (the Çelebis) and his devout followers, perhaps one could go so far as to say that Rumi’s outreach is not very far from that of Buddha, Jesus, Moses and Mohammed. If you think I’m exaggerating, I suggest that you visit the Web site of the United Nations Educational, Scientific and Cultural Organization (UNESCO), which declared 2007 to be the Year of Mevlana as the sage of openness, tolerance and overwhelming power of universal love. Plus, did you know that this Muslim mystic has been the best-selling poet in the United States in recent years, with over 250,000 copies sold of his masterpiece, “Mesnevi”? “Come, come again, whoever you are, come! Heather, fire worshipper or idolatrous, come! Come even if you broke your penitence a hundred times. “Oh God, let all lovers be content. Let their lives be celebration. Of course these are just a handful of teasers in the realm of Rumi’s beliefs of self-abandonment to a higher force, ecstatic flight into the infinite and, most importantly, tolerance hand in hand with unconditional love. As for the latest installment of films depicting the life and teachings of Rumi, novice director Kürşat Kızbaz’s 80-minute documentary, titled “Mevlana Celaleddin-i Rumi: Aşkın Dansı” (The Dance of Love), was released in theaters across Turkey this week. An incredibly conventional film that belongs more to the small screen than the cinema, “Mevlana Celaleddin-i Rumi: Aşkın Dansı” is nevertheless a decent exercise in promoting and explaining Rumi’s beliefs through extensive interviews with his descendants, international scholars, researchers, pilgrims and devotees, supported by voiceover readings of his poems and reconstructions of Rumi’s life in the 13th century. Rumi’s love for Shams surpassed any self-consciousness that might have brought the fear of being misunderstood. Reading Rumi’s poetry, you always imagine the two men to have Buddha-like smiles on their faces, ready to give you a huge bear hug should you run into them. “You were born with wings. “Mevlana Celaleddin-i Rumi: Aşkın Dansı” is not the best film portraying the brilliance of Rumi and his internationally acclaimed philosophy; however, it is admirable in its intention to promote Rumi’s ideals in the current state of Turkish affairs, where a lack of tolerance is creating a large hole that is dividing the many communities of the country. And for those who are interested in learning more, translator Coleman Barks’ bestselling “Essential Rumi” is a good place to start. “Out beyond ideas of wrongdoing and right-doing, there is a field. I will meet you there”. Karachi: Music from the flute is capable of moving hearts and can force minds to adopt a philosophy or creed ever strange to them. The sufis around the world cannot separate themselves from the moving tones and whirling ecstatic dances of musical organs, largely because of the flute, said Nameera Ahmed while talking to Daily Times at the premiere of her documentary film “Give me your love: a journey into Mevlevi Music”. “I choose to name my documentary Askini ver bana: mevlevi müzikine bir yolculuk, meaning ‘Give me your love: a journey into Mevlevi Music’. I was always curious to discover what dervishes do by putting themselves into an ecstatic whirlpool haal with every step, moved rhythmically under the influence of the flute,” explained Nameera. The documentary explores the role of music, especially that of the reed flute, in the lives of contemporary spiritual followers of the thirteenth century Persian Sufi poet-mystic, Mevlana Jalaluddin Rumi. Mevlevi Sufis are most popularly identified internationally as the “Whirling Dervishes”. Rumi referred to the making and playing of the ney in his poetry as a metaphor for the training and subsequent transformation of the human spirit. The dervish claim that the melody of the flute resembles the sweetness of the voice of the Almighty, she explained. The flute is made of reed that grows at the riverbank and when it is pulled out, sadness prevails; when it is played, hearts are moves, stated the director. The informal screening of “Askini ver bana” was held at the house of former Pakistan Television news anchor, vocalist and author Sabuha Khan, and was organized under the flag of UTAQ, a society for the promotion of arts and culture. The screening ceremony attracted prominent admirers of arts and culture, including Tasneem Hashmi, S. Nusrat Ali and Maj (retd) Inayat Sher Khan. Khan said that Nameera’s film was an attempt to remove the doubts that Islam restricts music. According to Khan, Ahmed has produced “fabulous work” at a very young age. She claims that her work brings people of different religions and culture close to each other. The message of the whirling dervishes is of love, peace and tranquility. The documentary was first selected for screening at ‘Sol e Luna DOCFEST’ in Palermo, Italy in July. It was selected at the Cinema Verite-Iran International Documentary Film Festival, Baku International Audio Visual festival of Young Authors, Sufism and the Performing Arts Programs, International Festival of Short Films on Culture. It was selected for the Kara Film Festival in November that was postponed. However, it will be screened at the festival in June. The 30-minute documentary is shot entirely in Turkish with English subtitles. This poetic symbolism holds power for the Sufis, who reveal their connection to the ney. The players are all individuals actively engaged in the production, performance and perpetuation of the Mevlevi music tradition. The film documents the story of a ney-maker, a young whirling dervish, a female student, a reed-flute enthusiast, a ney teacher, a spiritual teacher, a silversmith, who is a friend of the Mevlevis, and a senior ney player. While maintaining a sense of timelessness, the artistic treatment of the film highlights everyday aspects of their experiences, working methods and processes and performances within a cultural context. In the film, the Mevlevis present their own approaches and esoteric philosophies about music through interviews and discussions that draw upon sufi ideas on love and Muslim theological traditions. The viewer gets a taste of their world, philosophy and beliefs, and their journey of love explored through the ‘Sema’ or ‘Audition’, while seeking to juxtapose the relationship between the sublime and the mundane. Ahmed was born in Karachi. She completed her BA in graphic design from Bilkent University, Ankara. She then worked as a designer in Istanbul and on her return, she worked as a graphic designer and illustrator. Later on, she went back to Turkey for her Masters degree in Visual Arts and Visual Communication design at the Sabanci University, Istanbul where she focused on documentary filmmaking. Presently, she teaches filmmaking at the University of Karachi and writes for the Leonardo Reviews. She also directed “Reflections in the mirror,” this year. Most of the Somali children captured during a raid on a mosque have now been released, the police say. Amnesty International had called for the release of the 41 boys taken from the al-Hidaya mosque in the capital, Mogadishu. Ethiopian troops said they had detained the boys because they suspected they were being trained as insurgents. About 80 people were killed this week during fierce fighting between Ethiopian troops and Islamist fighters. Among the dead were religious leaders from the Tabliq Sufi sect, which had stayed out of the conflict. The UN emergency relief co-ordinator John Holmes has called for action against those involved in the attack. Mr Holmes said there had been an increasing trend of indiscriminate use of force against civilians by all parties in the conflict in contravention of international humanitarian law. Prime Minister Nur Hassan Hussein says the government was defending itself during the weekend clashes. The recent fighting is threatening plans for reconciliation talks between the interim government and the Somali opposition alliance which includes the Islamists. The Ethiopians intervened in 2006 to help government forces oust Islamists who had taken control of much of southern Somalia. The UN says that more than half of Mogadishu's population has fled recent fighting in the city. The country has not had an effective national government since 1991. [Picture: Witnesses said civilians were among the dead. Photo: BBC News]. Rabat, Morocco: Across the centuries, Sufism has helped bridge the divide between East and West. As Moroccans show a growing interest in Sufism and its principles of tolerance and peace, organisers gave the April 17th-24th festival of Sufi culture in Fez the name "East West." "[Sufi culture] allows us to discover and make Islam accessible as a civilisation project; and thus to sign up to a form of value-driven Islam which encourages civil and constructive attitudes and behaviour," festival chairman Faouzi Skali told Magharebia. Because of globalisation, Skali added, cultures, identities, religions and spiritual concepts are returning to centre stage in a violent fashion known as the "clash of civilisations". "Our world is currently searching for true wisdom, a universal spiritual way, a sort of true balance which could hold back this globalisation built on the elimination of certain cultures and ways of thinking to benefit others," he concluded. Mustafa Chérif, an Algerian researcher who specialises in dialogue between cultures and civilisations, addressed the same issue at the festival's opening, saying that Sufism is capable of finding solutions by bringing harmony and recognising difference and diversity. He believes that the only real spirituality is that linking man: the spirit of the East and the reason of the West. While the interest shown by Moroccans in Sufi culture is not new, it has intensified in recent years in order to face the global rise of extremism, sociologist Jamal Bahrioui explained. "This kind of event is aimed at attracting the greatest possible number of Moroccans to sign up to this culture, which leads human beings to reconciliation among themselves and society, and thus to spreading the culture of tolerance and peace," Bahrioui said, adding, "The youths are the most involved in this." Indeed, there has been a high turnout of young people in Fes this week for the festival. Some are already familiar with the concept of Sufism, while others seek to satisfy their curiosity. Student Sellam Mohamedine came from Oujda to the spiritual capital to join in some of the festival's programme of activities. "I came to meet thinkers and intellectuals to debate the importance of Sufism. I think that if we are to thwart the ills of the current age, including stress and extremism, we ought to turn to this culture," he said. Among the festival's most popular features are the concerts given by Sufi troupes and groups from the various brotherhoods. It is more than entertainment, however; music is at the heart of of Sufism. As Moroccan singer Oumnia Abou Amal explained, the apotheosis of the Sufi mystical process is spiritual song showing moral responsibility and a great sensitivity. "Sufi music is an expression of sacred song," Moroccan musicologist Abdelfettah Benmoussa tells Magharebia. "[It] corresponds to the spiritual state of one to whom celestial music – primordial and absolute sound – becomes audible: the divine word." The festival of Sufi culture brought together a swathe of artists, researchers and intellectuals from several foreign countries. The programme also included discussions on Sufism and Dhikr (invocation) evenings led by brotherhoods from various countries and cultures. [Picture: Members of Morocco's Qadiriya Boutchichiya confraternity perform at the Sufi cultural festival in Fez. Photo by Getty Images]. Lahore: The 239th three -day Urs celebrations of renowned Sufi saint and famous spiritual leader Hazrat Syed Miran Mauj Darya Bukhari which started on Wednesday in traditional way reached peak on Thursday. The Urs began in a traditional way with Dhamal on drum beats by the devotees and illuminated building of the shrine continue to attract thousands of the devotees in the provincial metropolis for the second day. The official celebrations were commenced by the religious scholars while laying floral wreath after Asr prayers Wednesday and soon after the inauguration the excitement among the devotees touched its peak. It may be mentioned here that although the official ceremony will be continued for three-days the activities and visit of devotees would remain a regular feature for over three weeks. Besides the visit of people from all over the country and abroad as well to participate in the annual Urs celebrations, the special functions of Qawali's would also remain the main feature of the Urs celebrations. Besides the arrangements for the distribution of charity food and special functions, the locals and shrine committee also made comprehensive arrangements not only to facilitate the devotees but also to provide a healthy environment to the shopkeepers so that they could also earn good business from this activity. As per routine the devotees spend maximum time at the shrine while reciting holy book Quran and to pray to Allah Almighty for the more blessings to the departed soul of Sufi Saint. They also distributed charity food (Lunger) on their own on this occasion. The British Government, through the British High Commission, Abuja, Nigeria, extended a special invitation to the leader of the Qadriyyah Sufi Movement in West Africa, Sheikh Qaribullah Nasir Kabara, of Kano State, Nigeria, to visit key religious institutions in the UK in the first week of March 2008 for dialogue on conflict resolution and peaceful engagement with Islamic institutions. Professor Abdalla Uba Adamu, a cultural anthropologist with special interest in the Anthropology of Islamic Groups accompanied the Khalifa’s team. He made a film of the trip called The Khalifa in London – Jakadan Zaman Lafiya [Ambassador for Peace] which was screened on Friday 18th April 2008 on the eve of the Qadriyya Sufi Movement’s Maukibi for 2008. This is his report of the trip. Engagement with Islam has become the new template for understanding Muslim peoples and creating a new world order in which peace, mutual respect and understanding of each others’ perspectives has become necessary to make the world a better, secure and more peaceful place. Consequently it has become increasingly clear that the only way to achieve a successful engagement based on mutual respect is through dialogue on common grounds. It is based on this that the British High Commission, Abuja, Nigeria, extended a special invitation to Sheikh Qaribullah Nasir Kabara, the Khalifa of the Qadriyya Sufi Movement in West Africa, to visit the United Kingdom and interact with various Muslim and Christian institutions with the view of exchanging ideas concerning the role of young Muslims in maintaining peace on the planet. What makes the invitation to the Khalifa more appealing was the fact of his being a mesmeric node of a vast network of Qadriyyah Sufi adherents throughout Western and Northern Africa – most of whom are young men and women who will increasingly play a significant role in the balance of peace in the future. Khalifa Sheikh Qaribullah Nasir Kabara is the leader of the Qadriyyah Sufi Movement in Nigeria and the entire West African region. 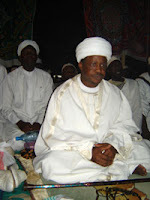 He ascended to the Khalifa in 1996 after the death of his father, Sheikh Muhammad Nasir Kabara. With adherents stretching from Chad basin to the Senegambia, the Qadriyyah Tariqa is the most focused concentration of Sufi adherents in post-colonial Africa. Under the leadership of Khalifa Sheikh Qaribullah, the Qadriyyah has become more globalised, while retaining its local roots, using media technologies to spread the message of peace and conflict resolution through mutual dialog – for instance through a well-developed website. Thus the invitation for the Khalifa to visit key strategic institutions in the UK as part of larger strategy of show of respect for the Khalifa and his approach to peaceful co-existence amongst people of differing faiths is significant in its wider implications for mutual respect for all religions. The visit to the United Kingdom took place between 2nd to 6th March, 2008. The first institution visited was the School for Oriental and African Studies where the Khalifa and his team were met by Prof. Graham Furniss and Prof. Phillip Jaggar – both Hausa scholars and who could speak the Hausa language very fluently. Indeed during the discourse on manuscript preservation, Prof. Graham Furniss impressed the Khalifa’s team by recited, off hand, and word-for-word, a famous poem by the late Sheikh Nasir Kabara, Yaro Ka San Akwai (Child, You Know There Is). As I said earlier, the main objective of the visit to SOAS is to explore ways of preserving Arabic manuscripts and how Darul Qadriyyah could help in this process. The sharing of the old manuscripts of the Nasir Kabara Diwan (volume) is one of the successful outcomes of the interactions. The next visit was to the offices of the Union of Muslim Organisations in the UK and Eire, where the Khalifa exchanged views with officials about the significance of bringing differing Muslim groups together under the same umbrella for peaceful dialogue with other clusters of believers. This visit highlights how the various Muslim groups in Nigeria – Qadriyyah, Tijaniyya, Izala, Shi’a could form an internal network of advocacy for peace among the various adherents of Islam, not only in Nigeria, but also in the West African sub-region; at the same time such internal network could also form a basis for networking with non-Muslim organizations for further dialogue. The outcome of the visit to the UMO was to highlight the power of unions in religious dialogue. Another significant site visited was the Houses of Parliament in London where the Khalifa and his entourage were given exclusive tours of the Houses of the Lords and the Houses of Commons. Indeed, the Khalifa and two of his team were given an exclusive chance to watch the Prime Minister’s Question Time during which the British Prime Minister, Gordon Brown, showed his oratory and skills in constructive dialogue with the opposition Members of Parliament. Later, the team had a chance to meet with John Robertson, Labour MP who had earlier in 2007 visited Kano and paid courtesy calls to the two Khalifas of the Sufi movements in Nigeria – Sheikh Qaribullah for Qadriyyah, and Sheikh Isyaka Rabi’u for Tijaniyya. John Robertson remembered his visit which was conducted on the basis of the British All Party Parliamentary Group on Nigeria for which John Robertson was the Chairman, and the recommendations of the report of the Group on how best to move Nigeria forward is through engagement in dialogue. Although I have lived in London for some years – and during its most colorful years of the Punk era in the 1980s – I have never had the opportunity to visit the Houses of Parliament until this visit. The Khalifa’s team were given a special tour of the Houses of Parliament and its two chambers – House of the Lords and House of Commons and at the end of the tour, the Khalifa and two of his team were given a special concession to watch the Prime Minister’s Question Time. The rest of us watched it from the restaurant of the Houses of Parliament on TV! The Khalifa was profoundly affected by the sheer transparency he witnessed during the Question Time. As he told us, apparently a contract for the production of new Police uniforms in the UK had been awarded, and a member of Parliament was commenting that he once saw the Prime Minister shaking hands with the person given the contract – what’s the explanation! The Prime Minister gave an answer that was quite accepted by everyone. In Nigeria such a situation would not probably have arisen, for leaders are used to giving contracts to their cronies without a care about public accountability. After the Parliamentary visit, then a lunch meeting took place at the excellent Indian Redfort Restaurant in London, and highlights another significant point on the role of dialogue in combating terror. The lunch was hosted by Arthur Snell, the Head of Counter-Terrorism Division of the Foreign and Commonwealth Office. Again during this business lunch frank issues were discussed about the role of religious leaders in peaceful dialogue. Interestingly enough, the dialogue between the Khalifa and Arthur Snell was conducted entirely in Arabic. No one would have been given the opportunity of going to London without visiting the BBC – and the Khalifa’s team were no exception. At the BBC headquarters at Bush House in London, the team was met with courtesy and utter respect and promptly taken to the Hausa Section where the Khalifa recorded a live interview on his visit with Suleiman Ibrahim Katsina. Almost immediately after the interview, calls started coming in from as far away places as Malaysia and Saudi Arabia welcoming the Khalifa to London and congratulating him for his advocacy for dialogue, not violence , as a means of bringing peace on the planet. On the final day of the visits, which was Friday 7th March, 2008, the Khalifa was hosted at the London Central Mosque by the Imam, who paid a courtesy call to the Khalifa after the Friday prayers and they exchanged perspectives on Da’awah work and the need to keep emphasising unity among the Ummah. A finale to the day was a special Zikr session held in the honor of the Khalifa at two central London mosques which stopped 3.30 a.m – and only because the Khalifa had a plane to catch back to Nigeria the following day. The visit – facilitated in part by The Bridge Builders – was tremendously successful in providing an ecology of Islamic groups most have never seen before. Full of frank discussions about the role of Islam in maintaining world peace, and specifically the role of Tariqa movements in advocating peace, the manner and intellectualism with which the Khalifa conducted himself – in both English and Arabic – impressed me as a bystander about his emerging role as Ambassador for Peace – Jakadan Zaman Lafiya. A film of the journey – significant for the insight it provides into how religious groups send messages about peace to the world has been made. It is called The Khalifa in London – Ambassador for Peace. It is the first full-length documentary by Visually Ethnographic Productions – a documentary film unit with special focus on cultural anthropology of northern Nigeria. An audio of the Qasidas – Poems – recited for the Khalifa in the two London mosques is also available. All from the Qadriyyah Movement Headquarters in Kano, Nigeria. Interestingly, one of the Qasidas was sung in a hip-hop style form in English by Rakim Fetuga of the UK Islamic Da’awah rap and hip-hop group, Mecca2Medina and who had previously performed at the British Council in Kano, Nigeria. [Picture: Shaykh Qaribullahi Nasiru Kabara. Photo: Darul Qadiriyyah. Read the Shaykh biography and visit the Tariqa's website http://darulqadiriyyah.org/mb/index.php?option=com_content&task=view&id=15&Itemid=27]. Islamabad: Sarwar Chishty, Khadim [Descendent / Guardian of the shrine] Astana Alia Khwaja Gharib Nawaz said that intelligence agencies and bureaucracies were the main hurdle to the India-Pakistan peace process. He also said state machinery in both the countries must end its negative role in the larger interest of peace and stability in the region. Addressing a press conference on Tuesday at a local hotel, he urged both the states to relax their visa policies and advised to open more consulate offices in both the countries. People-to-people contact can be a major source of strength to the peace process, he said. He pledged to facilitate travel for pilgrims who intended visiting Khwaja Gharib Nawaz's shrine. He said the main purpose of his visit was promotion of Sufism. "Sufism is a way to serve Islam with a better approach. The world has welcomed the values of Sufism which is universal in approach and application. South Asian people are well aware of Sufism but we should promote it throughout the world," he said. 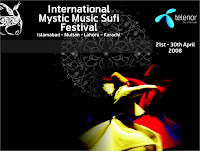 Rafi Peer Theatre Workshop (RPTW) in collaboration with Telenor Pakistan has announced launch of the annual International Mystic Music Sufi Festival (IMMSF) 2008 with its main part to be based in Multan, the city of saints and shrines. The festival will take place in Multan from April 24 to 27 at the Old Stadium while the debut was held on April 21 at the National Institute of Folk and Traditional Heritage (LokVirsa) Islamabad. From April 25 to 27, the performances will be presented in Lahore at the Peeru's Cafe. In Karachi, the festival will conclude on April 30, at the Beach View Barden. The festival brings to Pakistan a rich variety of Sufi music, both foreign and local. The featured groups will hail from Iran, Egypt, Algeria, Afghanistan, Morocco, Spain, France, Syria, India, the US, and Pakistan. The idea for the touring festival is based on sufism's message of peace and unity and the fact that, in today's world of increasing division and disparity, the message of Sufi music should be heard throughout the world. Sufi music has the ability to cross all geographical, national, religious, and language barriers, and should thus be used as an instrument of spiritual renewal that, in today's world in increasing division and disparity, the message of Sufi music should be heard throughout the world. The idea for the festival was conceived in 2004, when Rafi Peer Theatre Workshop noticed the dearth of platforms available for the highly learned Sufi musicians of the subcontinent and elsewhere. Sufi musicians had been left to find their way in the highly commercialized and complex music industry. [Visit the Rafi Peer Theatre Worksop's website: http://www.peerfestivals.com/]. Islamabad: Highlighting the regional literary contributions upholding the mystical concepts, freedom of expression, and socio-cultural tone, Pakistan Academy of Letters [PAL] has launched three more books of the series of ‘Pakistani Adab Ke Memar’ titled ‘Hazrat Sacchal Sarmast: Life and Works’ by Dr Abdul Jabbar Jonajo, ‘Saeen Ahmed Ali: Life and Woks’ by Dr Zahoor Ahmed Awan and ‘Farigh Bukhari: Life and Woks’ by Tariq Hashmi. Briefing the media about the recent publications, Iftikhar Arif, Chairman PAL said that the book on Sacchal Sarmast marks the universal concept of mysticism of the great Saint. He said that Sacchal Sarmast (Mian Abdul Wahab), the great mystic of Sindh, is the leading Sufi poet of distinction who composed verses on philosophy and Sufism. He is known as second Mansoor ul Hajjaj because of his poetry and philosophy. Sacche Dino, Sachoo (the truthful) and Sacchal Sarmast were all names given to Mian Abdul Wahab Farooqi because of the radical Sufi pursuits with which he challenged the rigid mindset of the clergy of his times. Also called ‘shair-e-haft zaban’ (poet in seven languages) as he composed poetical pieces in Arabic, Sindhi, Seraiki, Punjabi, Urdu, Persian and Balochi, that is replete with Divine Love. He said that Sacchal Sarmast is considered to be one of the great Sufi poets of the subcontinent. About the author, Iftikhar Arif said that Dr Abdul Jabbar Jonejo is a prominent scholar, researcher and critic and he has done a wonderful job by producing an exclusive document on the life and work of Sacchal Sarmast. The other book on Saeen Ahmed Ali is written by Dr Zahoor Ahmed Awan, a researcher, poet and critic. While appreciating Dr Zahoor Ahmed Awan’s work on Saeen Ahmed Ali, Iftikhar Arif commented that this book is a worthy contribution not only in Urdu literature but it also gives us an opportunity to understand the socio-cultural history and tone of Hindko literature. The third book is on the life and work of Farigh Bukhari, a major Pakistani writer, scholar, journalist and critic. This commentary is written by Tariq Hashmi. Iftikhar Arif said that Farigh Bukhari as a leader of progressive writer movement, he has struggle hard for his whole life for the right to express. Farigh Bukhari has seven collections of poetry to his credit and also a number of articles and books on Pashto literature. [Picture: Writers House at PAL. Photo from http://www.academy.gov.pk/history.php]. La troisième journée des concerts de la 2-ème édition du festival de Fès de la culture soufie(17-23 avril), qui se tient sous le Haut patronage de SM le Roi Mohammed VI, a été marquée, samedi soir, par les prestations artistiques de la star française Abd Al Malik et du grand chanteur du répertoire arabe traditionnel, le Syrien Nihad Najjar. The third day of concerts on 2nd edition of the Fez Festival of Sufi Culture (17-23 April), which is being held under the patronage of His Majesty King Mohammed VI, was marked Saturday night by the brilliant performances of the French star Abd Al Malik and the singer of traditional Arabic repertoire, the Syrian Nihad Najjar. On the menu of this event, which is part of the activities marking the 1,200 anniversary of the founding of Fez, are scheduled discussions on Sufism, along with evenings of Dhikr (invocations) from Brotherhoods from different countries and cultures, music concerts and arts meetings. The following lectures are also scheduled: "Sufism and Development of Civilization: 1,200 years of Spiritual Quests through the History of Morocco"; "Chivalry Values and International Relations"; " Women and Spirituality"; " Spirituality and Business "; " Spirituality and the Environment "; "The Road to Self-knowledge in the East and in the West "; " Sufism and East-West dialogue" and "Desire for Islam: the Sufi travel of Isabelle Eberhardt. " Residents in the Somali capital Mogadishu are expressing outrage and anger against Ethiopian troops in the capital, whom they say massacred at least 10 people, including a senior religious leader, inside a mosque on Sunday. According to eyewitness reports, the victims inside al-Hidaya Mosque in Mogadishu's Huriwa district were killed by Ethiopian troops on the second day of intense fighting, which left more than 80 people dead in the war-ravaged capital. The witnesses allege that Ethiopian troops stormed the mosque on Sunday, shooting and killing Sheik Said Yahya, the mosque's most senior religious leader. Eyewitnesses say several others were also shot and killed, and a handful had their throats slit, after the Ethiopians accused them of supporting and training Islamist insurgents. Ethiopia denies its troops have committed atrocities. The Somali government says military operations are conducted in self-defense, noting that Islamist-led insurgents often cause numerous civilian casualties by launching attacks at Ethiopian and government troops in heavily-populated areas. Sources in Mogadishu say the Hidaya mosque, one of the largest in Mogadishu, may have been targeted by the Ethiopians because it had long served as a base for different Islamic groups, including al-Ittihad al-Islami, a militant Somali group the United States has labeled as a terror organization. But the sources say in recent years, the Hidaya Mosque has been a place of worship for adherents of a mystical branch of Sunni Islam called Sufism. Most Somalis belong to the Sufi order, which has no ties to the ultra-fundamentalist Wahhabi movement embraced by members of al-Ittihad and its successor, the Shabab. 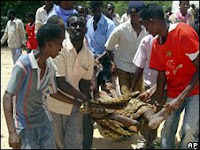 [Picture: Somalians prepare body of man killed in clashes in Mogadishu, 21 Apr 2008. Photo: AFP]. Many religious and spiritual traditions incorporate dance as a pathway to the divine. Native American tribes of the Great Plains celebrate the cycle of birth and death during the Sun Dance. Some Jews dance to commemorate the end of the year's round of Torah readings. Even the Gods dance -- Hindu deities are often pictured dancing in joy, and voodoo gods arrive in person during ritual dances to become one with the celebrants. Among the most intriguing of the world's sacred dances are those of the Whirling Dervishes, who spin around themselves and each other in a religious ceremony that dates to the 13th century. Whirling Dervishes are members of the Mevlevi Order of Sufis, founded by the followers of the poet Rumi. The word dervish means "doorway," a reference to the belief that dervishes act as conduits, opening the way for the power of God to enter their bodies and pass into the earth. Shakina Reinhertz, 62, author of "Women Called to the Path of Rumi," has been studying and teaching the whirling practice, also known as "turning," for 30 years. She will be demonstrating the ritual with a group of dancers on April 25 at Dominican University in San Rafael as part of a weekend-long Sufi Symposium that is open to the public. I spoke with her last week about what led her to the Sufi path, why Whirling Dervishes whirl and whether they get dizzy when they dance. When did you first learn about Whirling Dervishes? I was in college at the University of Arkansas in the 1960s, and my dance teacher showed us a little bit of the practice. That made a deep impression on me, but it was pretty far removed from my reality at that point. The first time I actually encountered a Whirling Dervish was at Dominican College in 1981, where they had the first sema (whirling dervish ceremony) in the Bay Area, and I was just completely taken with it. By then there was no doubt that I wanted to do that practice. There was a profound sense of sacredness and devotion unlike anything I had seen before. I remember that I was particularly struck at the end when the music stopped and the dervishes turned in silence. All you could hear was the sound of their rustling skirts. What happens when you are turning? I've read that the goal is to have a kind of out-of-body experience as a way of becoming one with the divine. Is that what it's like for you? It's really a form of moving meditation. When we turn together, as we're completing each circular motion, we are all saying "Allah" in our hearts silently. So it's a kind of group prayer. And we're tuning in to the people around us ... If there's any goal, it's just opening up to what comes through you. Over time, God willing, it becomes no longer you doing the turning but rather something is turning you. So it's not an act of will but a practice of surrender. Is turning something you do on certain days of the year or at specific times? Well, Rumi turned in the streets, after going to the mosque on Friday nights -- it was a spontaneous thing for him and his community to do. He turned, and would go into states of ecstasy, and the poetry would pour out of him, and people wrote it down. Later it became a part of his practice. And when he died, his son created a ritual honoring his passing, which is called Shebi Arus, the wedding night. That takes place around the world on December 17. It's a formal ritual that includes bowing, walking and turning. Our teacher asks us to turn a little bit every day. We do 18 chucks, or revolutions, to keep the practice. But usually anytime we gather together for a zikir (practice of remembrance that can be spoken or chanted with movements) there's turning. Is your body supposed to move in a predictable way or is it more spontaneous? It's predictable -- we train for a year in a very specific way in order to do it. The placement of the feet and the way you hold your arms, for example, are done in a very precise manner. I have to ask, don't you get incredibly dizzy when you are turning? No, not really. The dizziness, if it happens, occurs when you first start learning. But after you've been trained that generally goes away. Some Whirling Dervishes "perform" in a public setting where people pay for tickets. How do you feel about that? I'm in favor of it. In about 1925, when they were modernizing Turkey, they closed all of the tekkes (Sufi schools). At that point performing the dervish ceremony was made illegal, and Sufi traditions went underground. It took quite a long time, until 1956, before the dervishes persuaded the government that the heritage of Rumi was an important asset and a tourist attraction -- people come from all over to see his mausoleum -- and so it should be shared. After that they created a public ceremony that people paid to observe. I think that's helped to keep the tradition alive. Our order does charge for performances, but basically all of the money goes for renting the hall and paying the musicians. It's not a profit-making enterprise. Your order, the Mevlevis, was founded by Rumi in the 13th century. What are some of its main teachings? Primary in the Mevlevi path is sohbet, spiritual discussion, and adab, the way of beautiful manners. These are the two transmissions that the teacher brings to the student. Sohbet can be very formal in the manner of a lecture to a gathering of students or it can be in the moment, in the form of a question posed to the teacher by the student. Adab is the unspoken transmission of the teacher. It is what draws us to become followers of the teacher, and it is the way the teacher illustrates for us the embodiment of the inner teachings. In the outer world, it is the practice of whirling that identifies us as Mevlevis. And finally it is the Mathnawi, the poetry of Mevlana Jelaluddin Rumi that continues to speak to our hearts, even now 800 years after his passing. Tell me a bit more about your background. How did you discover Sufism? I was raised in a Christian family in the Midwest. We didn't know about Whirling Dervishes in Kansas City where I grew up. It was only after I moved to the Bay Area in the 1970s that it began to show up in my life in a major way. At a certain point, it seemed like Sufis were popping up everywhere I went. I remember one day when I was teaching tai chi at the Women's Building in San Francisco, I walked in on a group of dancers who were doing the "Dances of Universal Peace," a Sufi dance, and I joined in. Then there was a modern dance class that I took in Marin, and the teacher turned out to be a Sufi. Later, I left a difficult relationship and moved into a house where my roommates were Sufis. I didn't know they were Sufis when I moved in. When I look back on that period of life, it seemed like I was being invited into the Sufi path. I could have turned it down, but there was something very compelling about it. Teachers are important in the Sufi tradition. Who was yours, and how did you meet? My teacher is Sheikh Jelaludin Loras, the head of the Mevlevi Order here in America. I met him when he came to teach at a Sufi household where I was staying in San Rafael. I studied with him for 15 years while he lived in the Bay Area. He's now based in Hawaii, but I see him whenever I can. 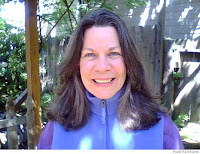 My other teacher is a woman named Taj Inayat, a person who has deeply steeped herself in Sufism; it is a very intimate relationship where I go and talk with her about my concerns. We sit in meditation, and she gives me practices. Basically, I go to get spiritually tuned. To my heart, I guess. I think Sufism -- all of the flavors of Sufism would agree that this is the path of the heart. We are listening to that voice that comes from within, and we are learning to follow our inner guidance while at the same time following the teachings of the Order and being part of the community. Most but not all Sufis consider themselves Muslims. What about you? The way I would answer that is to look at the language. The root of the word Islam in Arabic is Ya Salaam, which means peace. And the word Islam itself means "to make or cause peace." Therefore, a Muslim is a peacemaker. That's an unusual point of view, I know, but it's what I truly believe a Muslim to be. And based on that definition, yes, that's how I see myself and, God willing, what I am becoming. I am just a student of this path, someone who tries to follow with the sincerity of my heart what I believe God asks of me, yet I am still a chickpea that needs more cooking. It's interesting that you offer the definition of a Muslim as peacemaker because so often images of Muslims in popular culture today are tied to violence. At least that's what's making headlines. What do you think about that? There was a time when the Ku Klux Klan was very strong in America, but we would never say that the Ku Klux Klan represented Christianity even though they were burning crosses. Similarly, the extremists who are taking Islam and deciding to practice this kind of violence to express their views in the world do not represent the mainstream. And anyone who studies the life of the prophets and looks at Mohammed's life knows it's far removed from that of terrorism or suicide bombing. The Koran specifically talks about not killing women and children in warfare or destroying property or the environment. The main prayer, Fatiha, in the first chapter of the Koran, essentially says, "Guide us to the balanced path, not on the path of anger." It makes me tremendously sad to see that kind of anger. What gives you hope for change? On a very primal level, I believe that all human beings want the same things. Most of us care about our children and the earth itself, and we would prefer to live a more peaceful life than one that's filled with war and terrible acts of violence. On another note, I'm very hopeful when I see Oprah doing this show on the "New Earth" and sharing these writings of Eckart Tolle. What's he's offering are universal mystical teachings stripped of all garments of religion, even though he touches on some Christian ideas. They are Sufi ideas, too. I think it's very hopeful that millions of people are participating in this and meditating together, from all walks of life. [Picture: Shakina Reinhertz. Photo by Hadi Reinhertz]. T.S. Eliot may have had his metaphysical reasons for calling April the cruellest month, but for Delhi’s April, the epithet is far more obviously deserved — the month when winter can be certified as over, and the sun regains its tyranny. Hardly the best time to hold an open-air festival of music. But when the Bhakti Utsav, organised by the Government of NCT and Seher, spread its balm over the city’s green Nehru Park, even the sun decided to relent. As it played hide and seek with the clouds, the city got momentary relief from the heat, even as the singers of the Bhakti Utsav offered release for the soul. Epitomising the power of music to heal wounds new and old was the contingent from Pakistan. Akhtar Sharif Hussain, Shafi Mohammad Faqir and Javed Bashir, who each led a musical troupe at the festival, are at different points on the age spectrum. Practising varying genres of music, they have much in common. Not least among their similarities is the abiding belief that the Sufi concept of brotherhood and tolerance is the need of the hour, and music a prime vehicle to take it forward. But these ideas get repeated as consistently as the violence across the world that never seems to abate. Those who agree, agree. Those who don’t, continue the spiral of hatred. Does the concept need repetition? Sufi poetry set to music is one of the best expressions to popularise this idea. Akhtar Hussain, who with his brother Akhtar Sharif Sabir belongs to the Chishti Sufi brotherhood and traces his lineage back to Khwaja Barakat Ali, adheres to the traditional Doaba style of qawwali singing. Drawing eager crowds in Pakistan and other countries, he does not feel the need to change his music to suit modern tastes, though he has nothing against those who do. Trained under his father Ustad Mohammad Sharif Khan and later under Ustads Bakshi and Salamat, he shares the tradition with the late Nusrat Fateh Ali Khan. Javed Bashir, who sings both classical and popular, differs in his approach. Adapting one’s music is essential today, he feels. Bashir, who is also part of the popular Mekaal Hasan Band, feels ultimately the lyrics are important. Shafi Mohammad Faqir, who belongs to the Manganhaar tradition of singers from the Thar desert, points out that all classical music stems from folk anyway. “The mother of music is folk,” he says, his quiet voice belying his singing power. There is no denying the rousing popularity of the Manganhaar singers. The Manganhaars are the same as the Rajasthani Manganiyar community, and Shafi has relations on both sides of the border, performing intermittently with his Indian Manganiyar counterparts. Shafi, who runs the Alap Academy of Music, extends his precepts of brotherhood to the technique of music. “Music is no one’s virasat (family inheritance),” he says. Youngsters from within and outside his community are trained in Manganiyar singing at Alap. While these musicians have travelled the world with their notes of peace, India holds a special charm. “This is my 14th trip to India,” says Bashir, who has worked with A.R. Rahman and recently sang the soundtrack of “Khuda Ke Liye”. “I love the audience here,” he adds. Agreeing, Ustad Akhtar Hussain feels, “Everyone here is in sync with sur.” Yet the ustad, whose family settled in village Arup after Partition when he was a year old, is on his maiden visit to India. But the man-made borders between India and Pakistan seem to hold little significance for these messengers of a greater truth. Money, fame, material comforts disappear in an ecstatic blur when they hit the right notes, and they draw the audience along with them. “That which you feel is real. What you see is disposable,” explains Shafi. [Picture: Qawwali Singer Akhtar Hussain]. By Janaki Viswanathan, "'My raag and sur are my ice cream'"
Your name is always connected to your paternal uncle, Nusrat Fateh Ali Khan. Has that worked for you? I think whatever I am, wherever I am is because of the Almighty. (Laughs) I've worked hard to get here too. But I haven't got that far yet. There is more inter-exchange of Indo-Pak film and music today. Was it ever difficult for you? I've been travelling to India since 1995. My struggle period was between 1996 and 2000. I sang for Paap in 2003, that brought me into the limelight. What's the difference between the audiences here in India and back home? It's pretty much the same. There are many people who prefer rock and pop.. few like ghazals and Sufi music. India has a larger audience obviously because it's a bigger country. Isn't Sufi music being overused? I think that's a good thing. When Sufi singer Rahat Fateh Ali Khan got together with the Canadian producer and guitarist Michael Brook at UK’s Royal Festival Hall in October last year, to pay tribute to his uncle Ustad Nusrat Fateh Ali Khan, little did he know that he would soon find himself inviting Brook to visit and perform in India. As talks go on for a joint performance of Khan with Brook in November this year, the Sufi maestro continues to shift gears between Bollywood playback, a private album and his new role in a reality show. “Sufism is the truth and it is the truth I stand for. I want the youngsters to bring out the honesty of Sufism through their voice,” says Khan, who will soon become a mentor for six contestants on a reality show Junoon to be aired on NDTV Imagine starting June. “It’s the only individual platform that Sufi music has been given till date so I decided to be part of it,” smiles Khan, who, in any case, was looking for opportunities to bring Sufi into the forefront. Khan surfaced in the Bollywood circuit in 2004 with his playback singing for the movie Paap. Four years and many songs later, including those in Namastey London and Om Shanti Om, the singer has his plate full. Khan has 4-5 releases this year and is singing for an array of music directors including Sajid-Wajid in Main Aur Mrs Khanna starring Salman Khan and Kareena Kapoor, Sachin Gupta for an untitled film starring Rahul Khanna, Irrfan Khan and Soha Ali Khan and Vishal Bhardwaj amongst others. “When music directors think of a song for me, the Sufi tone is inevitable and I’m comfortable with that,” says Khan, who is also readying to start work on his private album. “I am hoping that Javed Akhtar pens the lyrics for my next album and apart from that I’m looking forward to playing in a concert together with Michael Brook by the year-end in Dubai and Mumbai,” informs Khan. In November 1989, as a young journalist newly arrived in India, I was sent to Kashmir to cover a spate of violent protests in Srinagar. The protests turned out to be the beginning of the ill-fated uprising against Indian rule that is still smouldering 18 years later and which has now left thousands dead, radicalised an entire region, and brought two nuclear powers to the brink of war. So long has the conflict dragged on that many people now associate Kashmir with violence, strife and terrorism rather than the traditions of high culture, artistic brilliance, and religious syncretism with which the region was traditionally connected. It is therefore timely and imaginative of the Asia Society in New York to mount an exhibition and to publish a superb catalogue of scholarly essays edited by Pratapaditya Pal, which reminds one of the larger currents at work in Kashmiri history. The Arts of Kashmir was a superb piece of museum craft — a beautifully realised display of the intellectual and artistic brilliance that long distinguished the valley. The greatest revelation for me was the quality of the astonishing art works from Kashmir’s early Hindu and Buddhist past. In the early centuries AD, the western Himalayas were not the culturally remote region they are today. Despite their physical isolation, these mountains and valleys were a major intellectual crossroads where the Hellenistic, Persian, Central Asian, Tibetan, Indian and Chinese worlds met and fused. Yet, Kashmir was also a centre of Hindu art and philosophy. Its early rulers were Hindu and it was they who commissioned the images of Hindu deities, such as the goddess Indrani — restless, vivacious, curving her body and swinging her hips to the sounds of some unseen musicians. Whether Hindu or Buddhist, these early Kashmiri sculptures all hint at a vibrant court life, where the kings patronised music, dance and poetry, and where the gods are depicted as courtly creatures. Thus Lord Shiv is shown crowned and kingly, playfully throwing a dice as Parvati, here a carefully coiffeured, sari-clad Kashmiri queen, looks on. Hinduism and Buddhism coexisted and intermingled in Kashmir for 800 years. Both faiths were patronised by thesame kings, ministers and merchants, many of whom indulged in the same Tantric heterodoxies. Indeed, it seems to have been in Kashmir that Tantrism passed from Hinduism to Buddhism, giving birth to the Mahayana school that would later flourish in Tibet and Nepal; certainly some of the earliest Mahayana texts found date from Kashmir during the first century BC. Some of the most beguiling exhibits in the show are of Tantric Buddhist deities, such as the eighth century brass figurine of the four-headed, ten-armed Chakrasamvara — naked but for a lungi and dancing on his prostrate demonic enemies. Roaring with rage yet strangely poised and balletic, he is crowned and garlanded with skulls, brandishes thunderbolts and skull-headed sceptres and over his head, he holds the stretched skin of a dead elephant. This is exactly the sort of angry protector figure that became common in later Tibetan art as a way of warding off demons and other creatures of darkness. It is a world away from the aniconic images of early Indian Buddhist art. Kashmir, the exhibition makes clear, was the missing link between the art of early Buddhist Gandhara and later Buddhist iconography of Nepal and Tibet. The arrival of Islam at first sight marks a dramatic break in the exhibition. In the Islamic rooms of the show, there are no more Gods or Goddesses; they’re filled with intricate but almost entirely non-figurative calligraphy, carpets, textiles and ceramics. But initial impressions of a clear break are false. The first Muslim ruler of Kashmir was not a conqueror but a Ladhaki Buddhist King named Rinchana (r1320-3) who converted to Islam, starting the slow process of the Islamisation of the valley. When the Mughals conquered the valley in 1589, there began a flow of Kashmiri intellectuals from the valley to the imperial court. Several Kashmiri artists such as the calligrapher Muhammad Husayn Kashmiri, known as Golden Pen, became celebrities in the entourage of Akbar. An image of the calligrapher, seated on a carpet and wearing a shawl as he teaches his young pupil, is among the most beautiful miniatures on display. It was under Akbar’s greatgrandson Dara Shikoh that Kashmiri traditions of syncretism came to have the greatest influence on the court. Dara had imbibed the heterodoxy of the Kashmiri Sufis from Mullah Shah Badakshani who had retired to the Pari Mahal, not far from Srinagar. It was partly as a result of time spent with the sages of Kashmir that Dara had the Bhagavad Gita and the Upanishads translated into Persian as The Mysteries of Mysteries, and wrote a comparative study of Hinduism and Islam, The Mingling of Two Oceans, which emphasised the compatibility of the two faiths and the common source of their divine revelations. He also wrote of the visions he received from Hindu deities, and how Vasistha had appeared to him: “He was very kind to me and patted me on the back. He told Lord Ram that I was his brother because we were both seekers after truth. In the end, Dara Shikoh’s Kashmir-influenced speculations proved too radical for even the Muslim élite of Mughal Delhi. By the mid-twentieth century, the last traces of the old pluralism had been replaced by a savage polarisation. During the resulting conflict, Kashmir’s architectural and archaeological heritage has been neglected and, in some cases, severely damaged. The ASI personnel that were supposed to look after antiquities fled the valley and Pari Mahal is, like several other monuments, in a state of collapse. But the most tragic effect of the conflict has been the flight from the valley of most of the learned Kashmiri Pundits who, in 1947, made up around 15 percent of the valley’s population. The valley is now almost entirely mono-religious for the first time in its history. Today the conflict may appear as insolvable as ever. Yet in the plural currents of tolerance and syncretism so clearly exemplified in this exhibition lies a route map for the only possible solution. Which, then, is greater than the other? Five members of the nine-member group, including Sher Ali, were detained in Islamabad, Pakistan by the U.S. Embassy, which would not validate their visas, according to a UMS spokesperson. UMS leaders, who have not be told why the musicians were detained, have contacted the Michigan office of Senator Carl Levin for help in resolving the problem but as of Wednesday afternoon no on there had learned more details either. Other presenters across the country have made similar requests in recent days for help through their own congressional offices, but no one has received any information, said UMS public relations manager Jim Leija. The producer of the tour, World Music Institute of New York, has likewise received no indication of the status of the detained musicians. Qawwali music is the devotional music of Sufism, its roots stretching back to the 10th Century, and Mehr and Sher are recognized as masters of the vocal qualities and the mystical texts at the heart of the form. Leija said that while the musicians who have arrived in the U.S. could have performed, the results would not meet the artistic expectations of UMS audiences. [Read about Mehr & Sher Ali at the World Music Institute Website http://www.worldmusicinstitute.org/event.php?id=466]. Perhaps the most notable aspect of Yousaf Raza Gilani's conduct upon his ascension as Pakistan's new prime minister has been his lack of apparent vitriol toward President Pervez Musharraf. Gilani languished in prison for five years under Musharraf's rule, charged with making illegal government appointments during his term as the speaker of parliament. Gilani has told Pakistan's English-language daily Dawn that the charges were "concocted" and "fabricated" in an effort to make him abandon the Pakistan Peoples Party, which was at the time led by Benazir Bhutto. Yet thus far Gilani has not taken the confrontational approach toward Musharraf that many observers anticipated, and that some Pakistanis transparently hoped for. Husain Haqqani, an associate professor of international relations at Boston University whom Gilani recently appointed as ambassador-at-large, told this writer: "So far, the two have interacted quite positively, notwithstanding Gilani's own suffering at Musharraf's hands. Quite clearly Gilani is able to rise above the personal to make things work for the country." 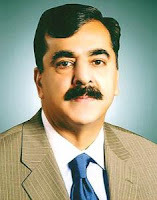 Though Gilani, 55, was born in Karachi, his family hails from Punjab. In Punjab, the Gilanis are prominent landowners and recognized spiritual leaders descended from the Sufi saint of Multan, Moosa Pak Shaheed. Haqqani explained that Gilani's spiritual upbringing has influenced his political views, in that Sufism makes him "very clear in his vision of tolerance and pluralism as Islamic virtues." Gilani was Pakistan's minister of tourism from March 1989 to January 1990, and its minister of housing and works from January to August 1990. He was also elected to parliament in 1990 and 1993, serving as speaker of the national assembly from 1993 to 1996. Benazir Bhutto personally selected him for this latter position; though some of her advisers were concerned about Gilani's young age, she was impressed by what one Pakistani newspaper described as his "high-stake human management skills." Though Gilani has been known primarily as a domestic politician, Western countries are keenly interested in his anti-terrorism policies due to Pakistan's increasing centrality in the global war on terror. Gilani has told Pakistan's national assembly with respect to the rise of militancy: "Unfortunately, some people have adopted violence as the way of expressing their opinion…. We are ready to talk to all those people who give up their weapons and adopt the path of peace." He has proposed both political and economic reforms in tribal areas. “People keep asking why there is no peace in the world for us individually, personally, let alone collectively or nationally;” begins Sharon Marcus in this excerpt from her book, The Sufi Experience. The Sufi Experience, Marcus’s sixth book, shares principles of the Sufi path along with some personal anecdotes of Marcus’s experience meeting her master, M. R. Bawa Muhaiyaddeen. Marcus identifies the inner contemplation and mystical traditions of her Sufi path as common property to all the major religions, while their goal and destination lie outside them, beyond. In her five previous books, whether fiction, nonfiction or poetry, Marcus’ passionate devotion to the precepts of Sufism simmers beneath the lyrical writing and explodes commandingly to the surface in her commentaries. Understanding the experiential nature of that mystical journey to the heart of Islam, seen through the lens of her spiritual master M. R. Bawa Muhaiyaddeen, becomes the structure of this new work, The Sufi Experience. A combination of lucid commentary and cheerful anecdote fills the book, especially in the extended chapter “Journey East,” an account of her travels to Dubai, Pakistan and Sri Lanka, a critical self-examination to light up the way. Peshawar: A seminar held in Peshawar on Sunday paid tribute to the great Hindko mystic poet Sain Ahmad Ali, and called for the setting up of a chair at the University of Peshawar to carry out in-depth research on his work. The event was organised by the literary, cultural and social welfare organisation, the Gandhara Hindko Board (GHB), at the newly established Gandhara Auditorium to mark the 71st death anniversary of the death of the Sufi poet. Riaz Ahmad, the great grandson of a freedom fighter from the Walled City of Peshawar, and a revolutionary poet, Meher Mitho, were chief guests on the occasion; while Hindko writer, poet, and researcher Sabir Hussain Imdad presided over the function, which was attended by a considerable number of people. Literati and devotees expressed reverence for the great 19th century mystic. The speakers hailed his poetry as an asset to humanity, saying Sain preached a message of love, peace and brotherhood, something urgently needed in this troubling age. The speakers spoke about the life and work of the Sufi, whose poetic compositions ran into thousands; only a fraction of those have survived through oral traditions. “Sufi poets such as Rehman Baba, Bule Shah, Shah Abdul Lateef Bhitai and Sain Ahmad Ali all laid stress on love and peace. Their teachings need to be preached and spread for a better world,” said Sabir Hussain Imdad, one of the speakers, in his detailed paper that he presented on the occasion. The participants in their speeches called for the printing of more of Sain’s work. They praised the GHB, which has compensated for the neglect shown to the great poetry of the saint in the past by publishing three books: ‘Sain Ahmad Ali’, by Professor Dr Zahoor Ahmad Awan; ‘Peer Sain’ by Muhammad Zaiuddin; and ‘Kulliyaat-e-Sain’ by Muhammad Ismail Awan. They urged the government to help recover and publish the rest of the work of the Hindko mystic. Gandhara Hindko Board Secretary Muhammad Ziauddin asked the government to give Sain Ahmad Ali’s work due attention as his poetry was in Hindko, the second most common language of the NWFP [North-West Frontier Province] and one in need of official support and patronage. He announced that the GHB would soon publish an international edition of Sain Ahmad’s work. “The book will be in four languages - Hindko, Pashto, Urdu and English,” he added, saying Sultan Fareedi had carried out the translation into Pashto and Urdu. Through a resolution, the seminar demanded that the government officially celebrate Sain Ahmad Ali Day, construct a befitting tomb for the Sufi poet outside Kohati Gate, and implement the City District Government’s decision of renaming Gubahar Chowk as Sain Ahmad Ali Chowk. Later, 15 poets paid poetic tribute to the illustrious mystic of the Hindko language, who has a considerable following in the vast area of Potohar as well as in the NWFP. Singers Ahmad Nadeem Awan and Saeed Paris rendered verses from Sain’s work, delighting the audience. Sain Ahmad Ali was born in the Walled City of Peshawar in 1842 AD. His harfis (poetic verses) are recited with respect. The Sufi poet died in Peshawar on April 13, 1937 at age 95 and was laid to rest outside Kohati Gate. His last resting place has been rebuilt thrice by devotees without any help from the government. [Picture: the Mazar of Sain Ahmad Ali. Photo from the Official Website of the Gandhara Hindko Board http://www.hindko.pk/index.html]. Iran commemorates the national day of Faridoddin Attar Neyshabouri, a prominent Persian poet, theoretician of mysticism and hagiographer. Iranian cultural officials will are holding a conference today in the city of Neyshabour, located in the northeastern province of Khorasan Razavi to honor the Persian poet. Born in 1119, Abu Hamid Mohammad Neyshabouri was the son of a successful chemist and received an excellent education in various fields, including pharmacy. His achievements in the profession of pharmacy brought him the title of “Attar”, literally meaning The Pharmacist. Eventually, he abandoned his pharmaceutical business and traveled widely, visiting Kufa, Mecca, Damascus, Turkistan and India. He met with Sufi leaders of the time and returned to Neyshabour to promote and expound Sufi ideas. Under the influence of Sufism he started composing poems and teaching literature and his mystic theories. He also composed stories from historical chronicles, collections of anecdotes and all types of literary forms. Attar died at the age of 70 in 1189 during the Mongolian invasion of Neyshabour. There is a well-known story regarding his death suggesting: “Attar was taken prisoner by a Mongol during the invasion of Neyshabur. Someone soon came and tried to ransom him with a thousand pieces of silver. Attar advised the Mongol not to sell him for that price. The Mongol, thinking to gain an even greater sum of money, refused the silver. Attar's most celebrated work is Manteq-ul-Tteir (The Conference of the Birds), a poem consisting of 4,600 couplets. 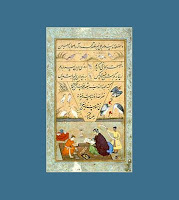 The poem uses allegory to illustrate the Sufi doctrine of union between the human and the divine. His other important writings include Tazkerat-ol-Olia (Biographies of the Saints), a prose work about the early Sufis. Elahi-Nameh (Book of Divinity), Asrar-Nameh (Book of Mysteries), Mosibat-Nameh (Book of Suffering), Bolbol-Nameh (Book of Nightingales), Javaher-Nameh (Book of Jewels) and Khosrow-Nameh (Book of Kings) are among the numerous books he wrote in verse and prose. [Picture: Attar's Mausoleum in Neyshabour, Iran]. Konya: Prominent guests visiting the Mevlana Museum will be hosted at a new venue planned for the central Anatolian city of Konya, home to the museum and the grave of 13th century Sufi saint Mevlana Jelaluddin Rumi. The offices of Konya's Karatay Municipality have been relocated, and the 7,000-square-meter plot and buildings the municipality formerly occupied, the Karatay Houses, have been handed over to the Mevlana Museum. The Konya Provincial Culture Directorate and Mevlana Museum Directorate are planning to establish a cultural center on the site, which will feature deluxe accommodation in the form of the Çelebi Evi (house). The Mevlana Museum, which draws more than 1.5 million visitors each year, currently has no facility for hosting VIP guests. Museum Director Yusuf Benli said the area behind the museum building and the Karatay Houses will become part of the museum, adding that statesmen and distinguished foreign guests will be offered accommodation there. Benli also emphasized the particular importance of such facilities during the Şeb-i Arus (Reunion with God) festivities, commemorating Mevlana's death, often attended by the president, prime minister, state ministers and other VIP guests. He added that the project also includes tourism-related activities. Venues representing Turkish and Konya culture are also planned, including a typical "Konya house," to which entrance will be by appointment only, adding that this will also function as accommodation for tourists. He added: "We will establish a familiarization center for Konya and its districts where we will make use of digital images and audio to depict many historical, cultural and natural beauties of the city. "Visitors will simply have to visit some of these places after they see them there." Also planned are a Konya Museum restoration and conservation laboratory, exhibition halls and a center where traditional Konya handicrafts will be displayed. One of the region's most-visited sites, the Mevlana Museum hopes to spearhead efforts to reinvigorate local tourism. 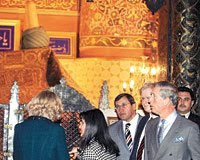 [Picture: Britain's Prince Charles visiting the Mevlana Museum]. Sufi News is a volunteer organization in the process of attempting to become financially viable. To this end, in part, we will depend upon reader financial support. So if you would like to see Sufi News continue, please consider making a one-time or regular donation. Click on the title of each article in order to go to the original article. If you are the author of the article and do not want it republished here, please inform us and we will remove it. Click on the pictures to expand them. The Values It Says It Upholds. Shah Balut? It's a pine tree!